And another commission from waterinegirl to be posted on Valentines! Thank you again for the commissions. Note: this card story is related to the event, “Overflowing Love and the Future Bride“. 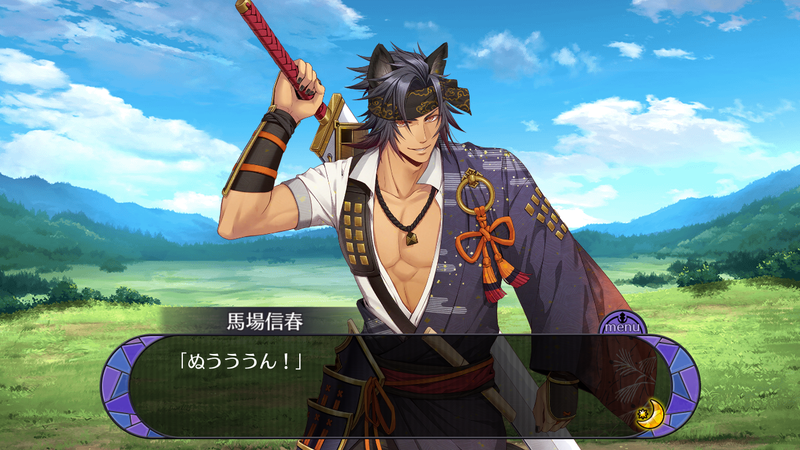 This entry was posted in Collaboration, Otome Games, Sengoku Night Blood and tagged Kadokawa, Marvelous!, Mobile, Otomate, SNB Nobuharu, Yasumoto Hiroki. You’ve been working hard every day, haven’t you. That’s a fine thing. You should hold your head up high. I can only live in the midst of a war, but you’re different. Look at various things and move forward on the path you believe in. No matter what sort of path it is, if you have decided on it, I’ll help clear a path. 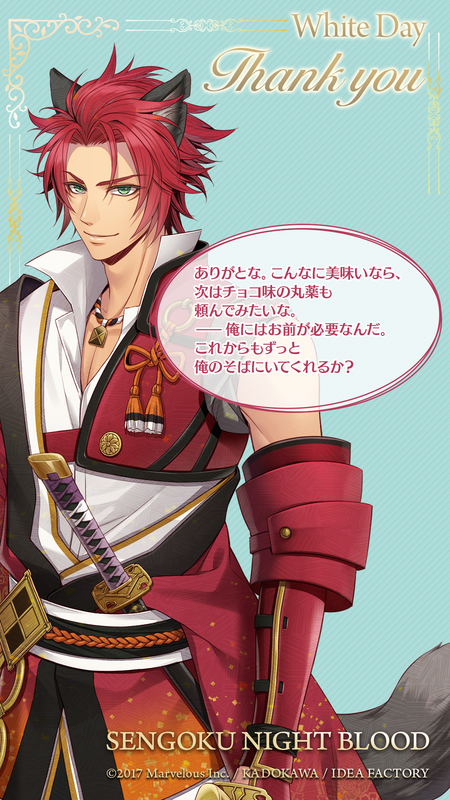 This entry was posted in Collaboration, Otome Games, Sengoku Night Blood and tagged Kadokawa, Marvelous!, Mobile, Otomate, SNB Nobuharu. “Thanks. If it’s this delicious, I almost want to try asking for chocolate-flavored medicine pills next time. White Day messages from Takeda! 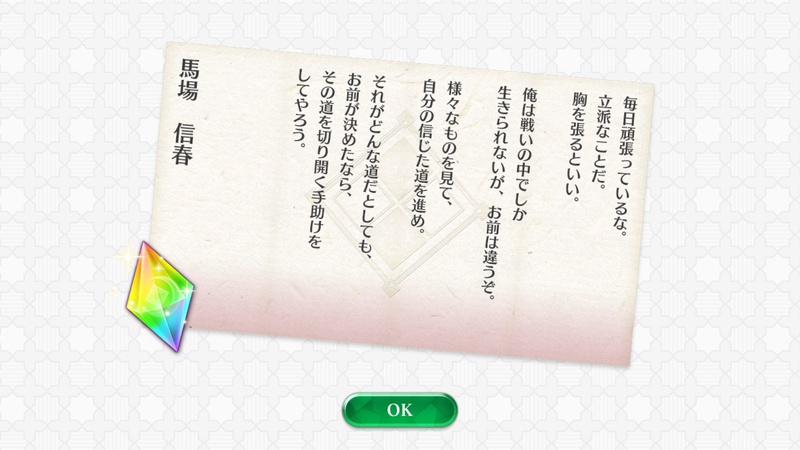 (I fell behind on translating the Uesugi story but I swear it wasn’t these messages! Just life in general, haha, so I’m gonna spam these White Day messages and hope they make up for the lack of a story update <3).